… but it’s now back from the grave. I have a Macbook Pro built in 2008. It was the last “Discrete” model made before the “Unibody” model. Although it’s a great machine, the graphics card was the cursed Nvidia Geforce 8600M GT. Basically, I hade a time bomb inside my Mac, and by Murphy’s law, it should detonate on the worse day possible. Well, it did blow up. On the morning of last monday (27/12) may Mac screen was all garbled up, full of artifacts and no image on my second monitor. Reboot, battery off, resets, nothing worked. Powered up my netbook and surfed the web to find out that the behavior was consistent with the nvidia problem. A few friends recommended me to take the Mac to Tou Aqui Tou Aí, an Apple Certified Assistance Center in Lisbon, but since I work on the other side of the Tejo, I decided to ask for a pickup at my place. 15 minutes after I pressed the submit button on the form, I received a call from them, scheduling the pickup for the same day. 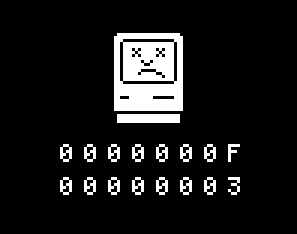 The next day I had the diagnostic confirmed and the hope that I might still be getting my Mac back this year, depending on when they would get a new logic board from Holland. Yesterday I had the confirmation, by phone, that my Mac was ready and on my way. Today I got my mac, at 10:00, looking like sparkling new (yes, they cleaned it 😀 ) and at zero cost. Even the pickup and delivery was free of charge. This, ladies and gentlemen, is SERVICE. It’s how every company should work and treat it’s clients. Também só tenho boas opiniões da TATA. Sou da opinião que devem também ser divulgadas as boas formas de estar no mercado e não apenas quando somos “mal” tratados.